Darci Lynne Farmer became one of the most popular contestants on America’s Got Talent for a reason. When she first appeared on AGT, she was America’s sweetheart because of her originally shy nature. Since then, she has truly grown into her craft and become an even better ventriloquist. Who wouldn’t love to see Darci Lynne perform live? Darci Lynne’s act is a wonderful combination that showcases her singing abilities and her humor. You’d never expect a teenage to have jokes like this! Over the course of her time on AGT, Darci Lynne has introduced the world to many of her puppets. Everyone knows her sweet puppet named Petunia. 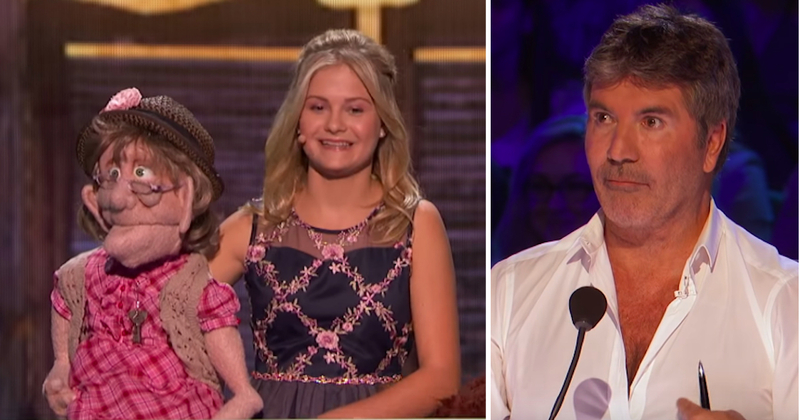 One of the AGT judges knows Darci Lynne’s puppet named Edna Doorknocker a little too well. When she was originally on the show, Edna serenaded Simon to express her love for him. For her appearance on The Champions, Darci Lynne brought Edna back. 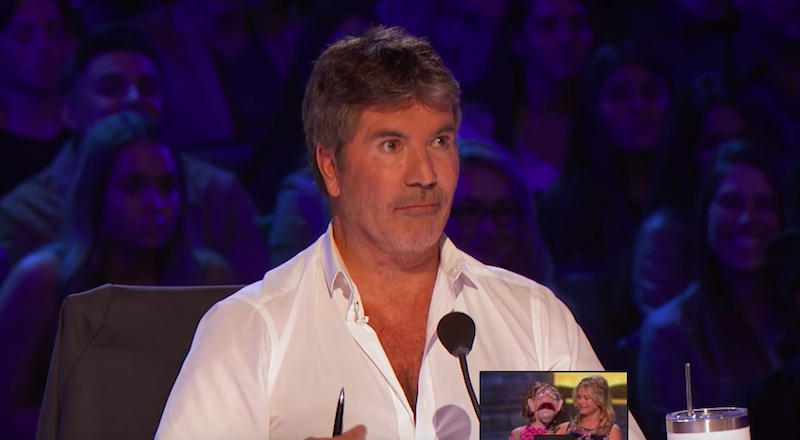 The look on Simon’s face when he saw Edan says it all! Along with Edna, Darci Lynne also brought Rowlf the Dog. The start of her performance began with Rowlf asked Edna and Darci Lynne about touring the country post-AGT. Darci Lynne warned Rowlf that Edna had been a little bit cranky lately. Apparently, Edna was upset because people had told her they’d call her, but hadn’t actually ever called her. At first, Rowlf thought that Edna was talking about him. But she was actually upset with Simon! Apparently, Simon isn’t calling old lady puppets in his spare time. Rowlf seemed to love the drama and basked in Edna’s sorrows. With her two puppets, Darci Lynne put on a hilarious but amazing performance of “Can’t Smile Without You” by Barry Manilow. What did you think of this performance? Darci Lynne really knows how to crack the judges up during her performance! 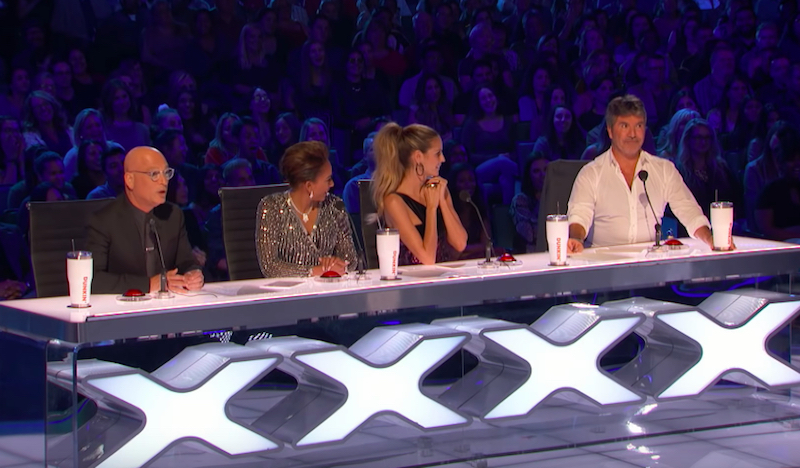 When America’s Got Talent: The Champions was announced, it came as absolutely no surprise that Darci Lynne would be on the show. However, everyone was extremely shocked when Darci Lynne was eliminated fairly quickly. How could AGT’s Golden Girl not make it? Thankfully, Darci Lynne got a second chance and was chosen as a wild card. This meant she got a chance to return to the finals of AGT: The Champions to once again try and prove herself worthy. 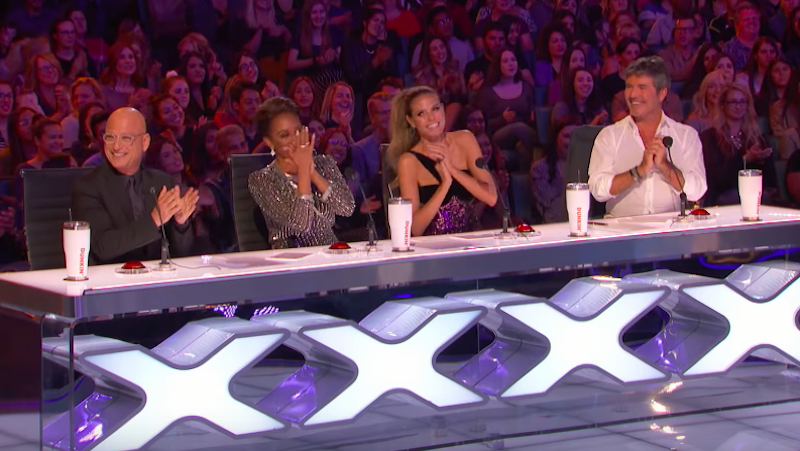 America’s Got Talent returns to NBC for season 14 on Monday, June 10, 2019. Please SHARE this with your friends and family on Facebook today. Ana Suarez is a contributor at See It Live.